Say this for Dan Mullen. The guy makes a nice first impression. 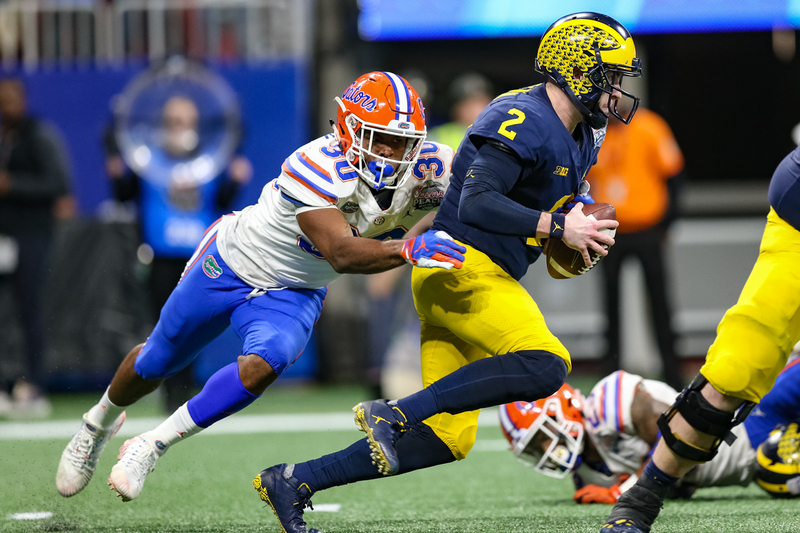 Mullen, the Florida coach, wrapped up a successful first season with the Gators Saturday as he led his team to a 41-15 rout of seventh-ranked Michigan in the Peach Bowl. 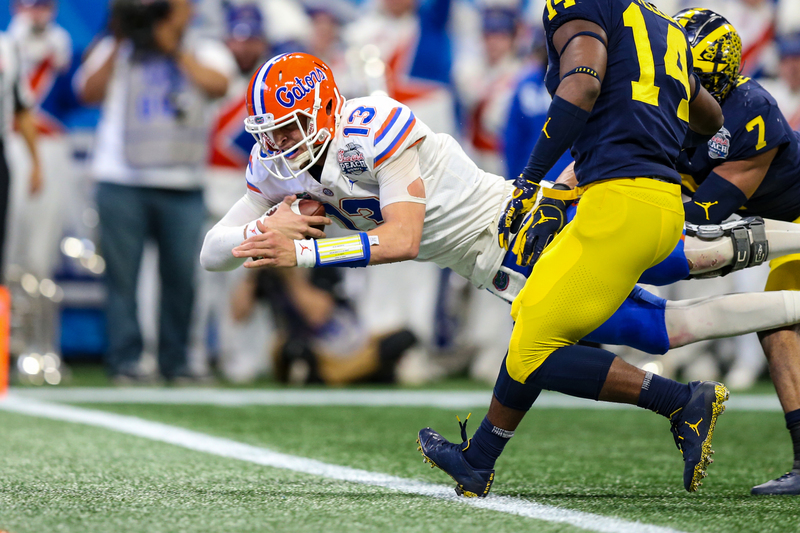 It was a fine finish for the Gators, and for Mullen. The Gators finished 10-3 and are certain to wind up in the Top 10. They re-established the program as the one to beat in the state. They made people forget about the disappointing finish to the Jim McElwain era and last season's four-win season. Yeah, not bad for year's work. 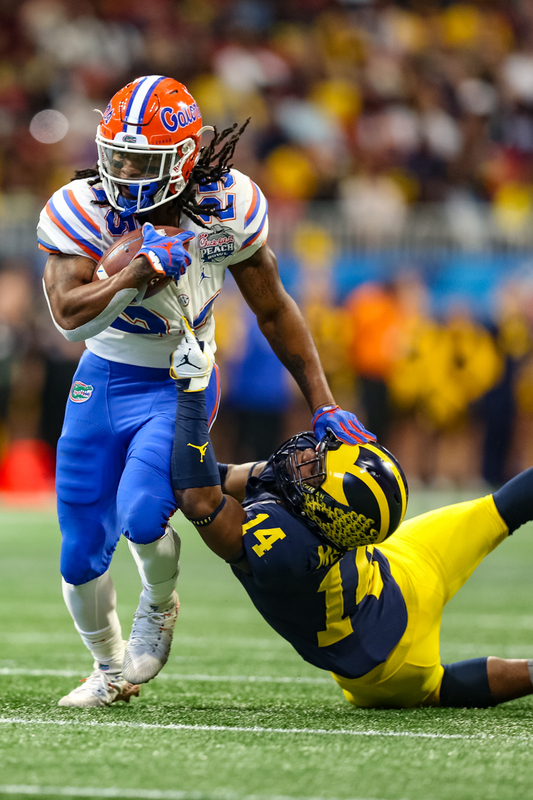 The Gators ran away from Michigan at the end, scoring 35 of the game's final 40 points. Quarterback Feleipe Franks, benched and booed at various points of the season, threw for 173 yards and ran for 74 on their way. Michigan gained only 77 yards rushing on 30 carries, a 2.6-yard average. C'Yontae Lewis said the team felt for Franks. Franks said the difference started with Mullen. 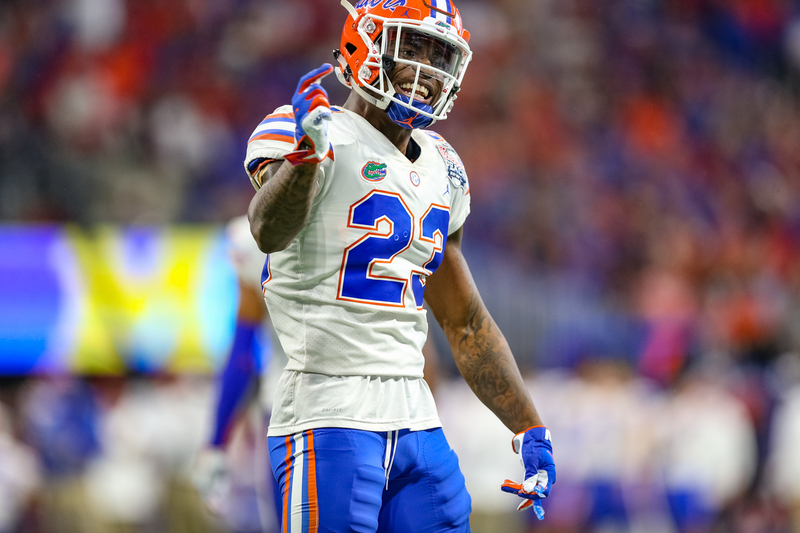 "Just the mentality that coach Mullen brings to our team, a lot of people don’t think that’s something that can change somebody’s play, and I think that’s totally a misconception is that mentality can change completely how you play,” Franks said. 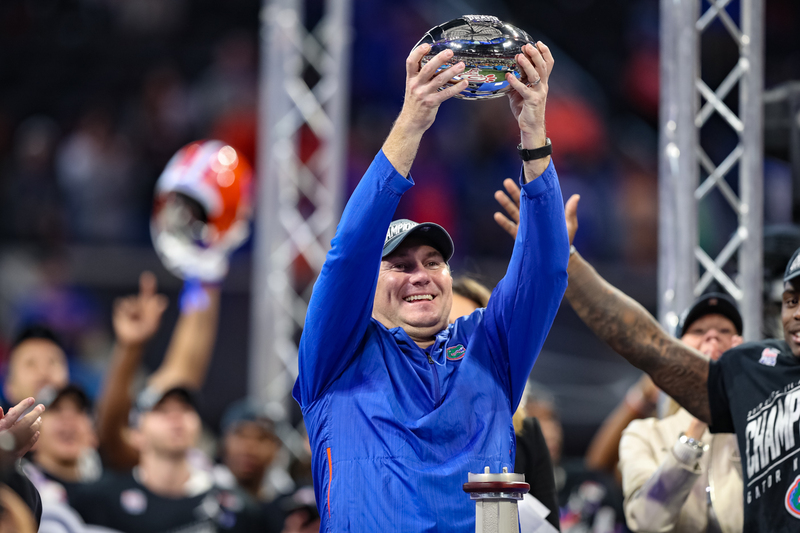 “Like coach Mullen always says, it’s one of my favorite quotes he always says, ‘Being a champion is not a sometimes thing, it’s a way of life,’ and it’s something he’s very true about. 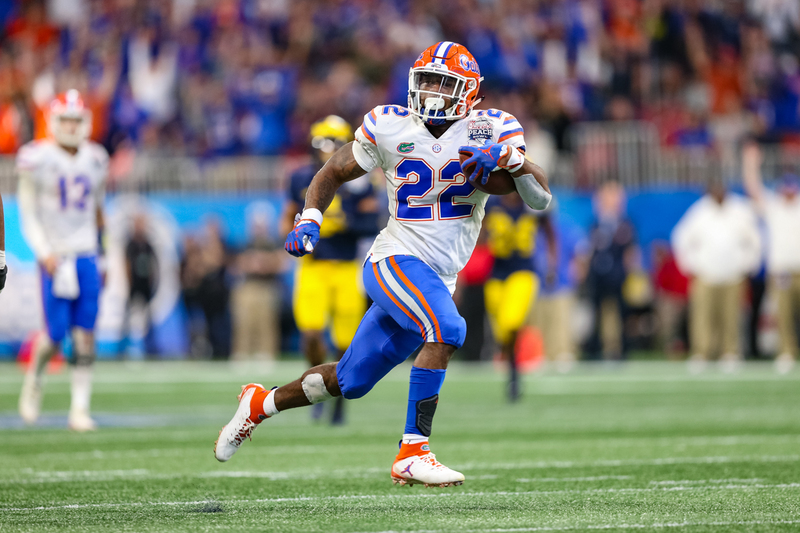 Defensive back Chauncey Gardner-Johnson intercepted two passes and returned one of them 53 yards. This game is another stain on Jim Harbaugh’s legacy. His record against Top 10 ranked teams is absolutely miserable. Racking up all those great stats and wins against inferior opponents at home like Michigan does each year, means nothing because his teams are no match for the tougher competition such an ND, OSU and even Florida. They are a totally different team away from Ann Arbor. 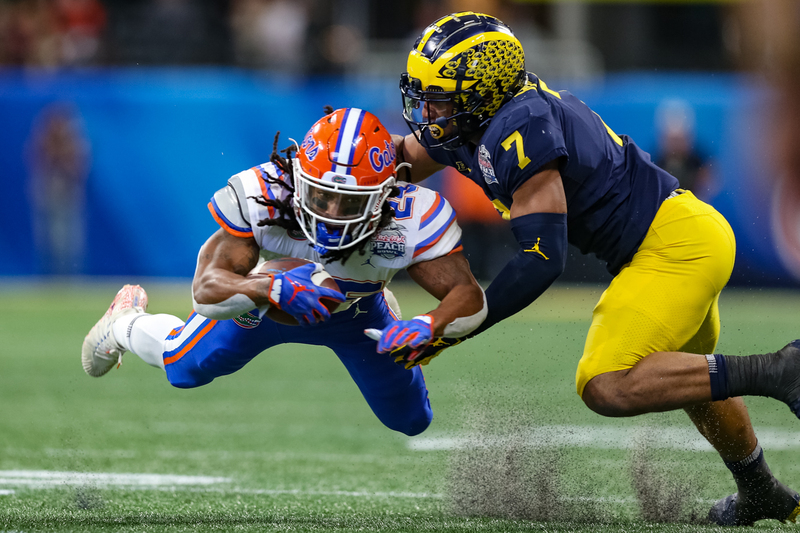 Michigan doesn’t recruit speed and speed kills them in the big games year after year as well as being out coached in those games. At this point it’s clear that Jim Harbaugh is the most overpaid, overrated coach in America. He’d certainly be among them, it seems. That would be a fine column for another day. Chip Kelly is in that list. I remember when Tom Osborne was at Nebraska. He openly said the Huskers weren’t recruiting speed, and they paid more attenion, and they won. Of course, having creeps like Lawrence Phillips helped.